91Digital Web Pvt. Ltd, which owns and operates mobile and gadgets research and comparison site 91mobiles.com, has acquired a majority stake in 500 Startups-backed price comparison site Pricebaba.com, a company statement said. California-based 500 Startups, which came on board as a seed investor in 2013, will exit the venture with this investment round. Pricebaba will continue to operate as a separate entity and co-founder Annkur Aggarwal will serve as an adviser in the company, the statement added. As part of the acquisition, 91mobiles will invest $500,000 in Pricebaba to develop content in 10 regional languages including video and bandwidth friendly audio content targeted at new internet users. The price comparison site will continue to focus on helping buyers make decisions for electronics products including TV, washing machines, ACs and refrigerators in addition to mobile phones. In 2016, Pricebaba had shuttered its offline business model, driving users to partner local retailers. The company, established in 2012, currently has a user base of 5 million. It helps users find the best deals using a location-based search platform. “Over the years, 91mobiles.com has emerged as the go-to platform for consumers who are looking to buy a smartphone. While smartphones remain the largest electronics category online, we are now seeing sharp growth in the number of people researching online before purchasing appliances and electronics other than smartphones as well,” said Nitin Mathur, co-founder of 91mobiles, in the statement. 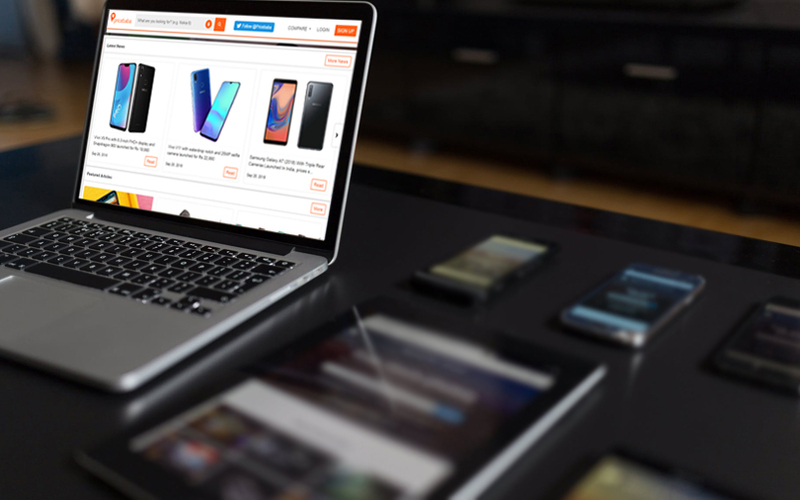 91mobiles currently has 20 million users visiting its site to research the best buys for mobiles and the company works with device makers such as Nokia and Oppo as well as e-tailers like Amazon, Tata Cliq, Paytm and others. In October 2014, 91mobiles.com secured $1 million in a pre-Series A funding round led by venture capital firm India Quotient. MySmartPrice, a price comparison and product discovery site, raised $10 million from its existing investors Accel Partners and Helion Venture Partners in July 2015. It remains the largest price comparison player.